Everyone needs a hat when fishing. Plain and simple. It's an important piece of clothing that can often times be overlooked. 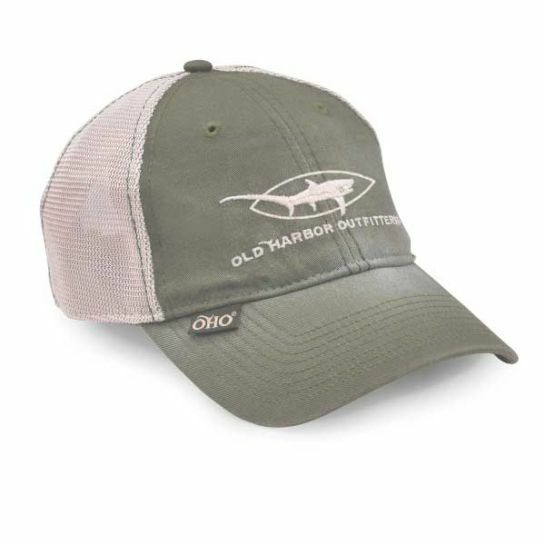 If you're looking for a new hat to keep the sun out of your eyes or to keep your head from burning off, check out the Vintage Thresher Trucker from Old Harbor Outfitters. It features a heavy wash giving it that vintage look, a pre-curved bill, super soft durable mesh back and an adjustable slide buckle on the back. Anyway you slice it, the thresher shark logo is tough to beat! Colors available include burnt orange, navy and olive. The OHO Vintage Thresher Trucker Hat is one size fits all. Treat yourself this season and you'll be lookin' stylish (for a change) with a picture proudly holding your trophy fish. 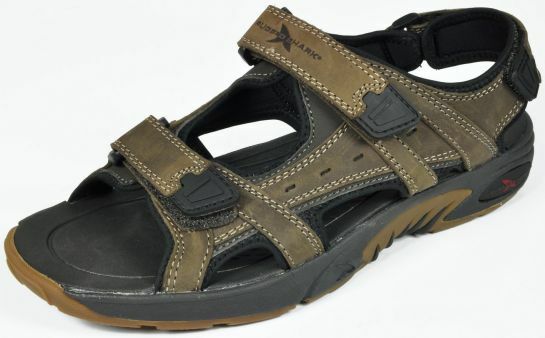 The Bimini is a thong-style sandal that incorporates Rugged Shark's exclusive Shark Grip outsole. 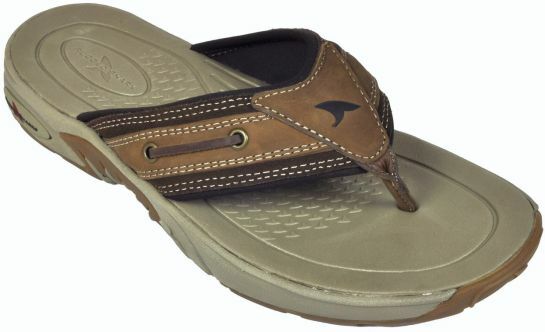 It's the same non-marking, sure footed, slip resistant bottom used on their premium boat and fishing shoes. The leather strap is padded where it contacts the skin for added comfort. The footbed is textured with molded cushioned EVA, a soft, resilient material that will not absorb water or foot odor and provides a comfortable platform for your foot. This footbed can be easily cleaned with a rinse of freshwater after a hard day of fishing and boating. 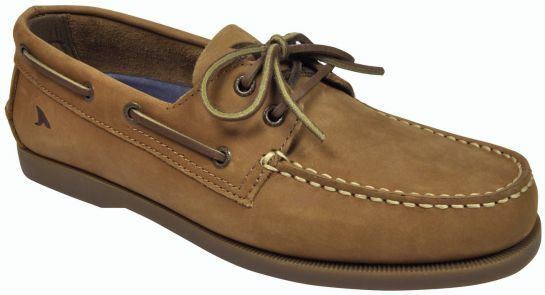 The Bimini is made using the finest materials and available in maple Nubuck leather in sizes 8 through 13 (whole sizes only). Check out their website for more info on the Bimini and other styles they offer.